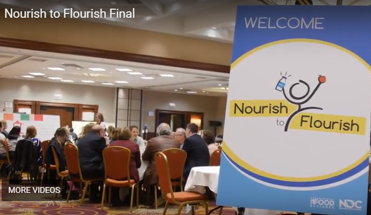 Original Nourish to Flourish work groups have evolved over time. Some have completed their work and published relevant documents that are now available as resources. Other work groups continue to push forward by collaborating on proof of concept pilot projects. The Technology Work Group and its Advisors are charged with finding ways integrate technology into the child nutrition ecosystem to drive participation. The Data Sharing & Analytics Initiative leverages GDSN supply chain technology to simplify burdensome regulatory tasks and facilitate data insights for both suppliers and schools. The secondary initiative of the Technology Work Group, Mobile App Integration, integrates mobile apps into trade and consumer daily activities. The goal of this work group is to improve access to ever-healthier and affordable school food items by streamlining the school food procurement process through industry/district/non-profit cooperation. The initial goal to develop a “Common Bid Template” is nearing completion. Free to suppliers and schools, the final document will be placed online for easy access and the group will campaign for widespread usage. The Improving the Dining Experience Work Group looks at wider range of school food service interactions from a customer perspective to improve the school meal experience from a wide range of interventions, including mobile apps and Grab & Go carts. Led by the Institute of Child Nutrition, this work group is an ongoing collaboration including USDA, National Dairy Council, Healthy Kids Collaborative, Urban School Food Alliance and Dallas Independent School District. The goal is to work toward standardization of certification and accreditation to improve and elevate the food offered in schools. This may include providing workforce development and career path opportunities via a universal training model that is supported by both the USDA and SNA. With funding by USDA, the group will hire a chef to lead the curriculum development for cafeteria workers, cafeteria managers, and district managers. An advisory board and project time table is being established. This work group, led by National Dairy Council, seeks to improve the school milk experience with a focus on equipment to innovate milk dispensing. The group is reviewing best practices and current systems with an innovative pilot test expected to begin in Fall 2019 in Orlando. Under the leadership of FRAC, this work group is working toward leveraging partnerships and coalitions to help in achieving the N2F mission. They are currently examining the content, logistics and costs to produce practice videos featuring innovative things being done in the afterschool and summer feeding programs. This work group completed a study with recommendations on simplifying regulations to help improve school meals. The study results have been provided to USDA/FNS and are expected to be released to Congress. With a focus on reducing food waste, this work group is collaborating with other organizations to include: Conducting research to develop a youth messaging strategy around sustainable nutrition; Working with Fuel Up to Play 60 to from a task force of Student Ambassadors to gain their insights on reducing food waste at school and home; and consulting with the School Nutrition Association to further explore food waste in schools. This education focused work group, which includes the School Nutrition Association, looked at building the connection between school meals and education and the integration of school meals into the school day. This work group acts as a resource coordinating student input to empower them into action for research and metric development. This work group acts as a resource to engage student input to elevate the “student voice” in the overall school meals process. This work group acts as a resource to change the national narrative of the perception of school meals. 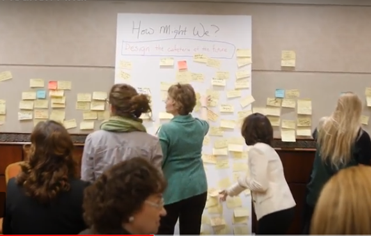 This work group is tasked with maintaining the momentum of Nourish to Flourish through annual summits, quarterly Work Group leadership meetings and providing ongoing support and guidance to the initiative.